So why have we done this? From all the feedback from our broadband customers (as well as with a bit of research thrown in) the messages that we hear loud and clear are that the most important things to them are: their speed, the reliability of their connection and their security when online, especially when news like this appears in the press. We set up the Broadband Discovery Zone to give some top tips on the common problems people might experience with their broadband and what they can do to fix them. With well over half of the speed and connectivity related problems our customers experience being down to their own equipment (hardware, software, wireless routers etc) there's plenty that we've learned that we are happy to pass on. As well as tips, tricks and useful information about what to do when you have a speed or connectivity problem, there's a section in the Broadband Discovery Zone about ensuring you're safe when online with advice about how to secure your wireless network included. Given this can be quite complex to do, our Digital Home Support Team are also there to help (this is a chargeable service – more details on this can be found here). 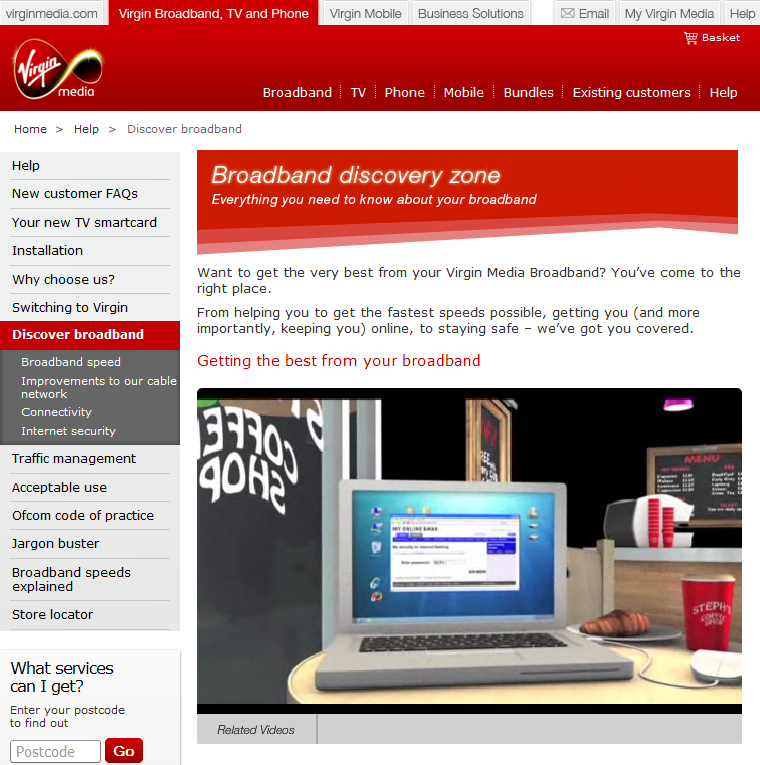 Also included in the Broadband Discovery Zone are some help videos for our customers and news on developments to our network – including the increased upload speeds we announced last week. While we've deliberately kept the Broadband Discovery Zone focused on the most common queries we get from customers and advice on how they can help themselves without needing to give us a call, we’re interested in any and all feedback on what else we should put into it in future – do please let us know your thoughts.